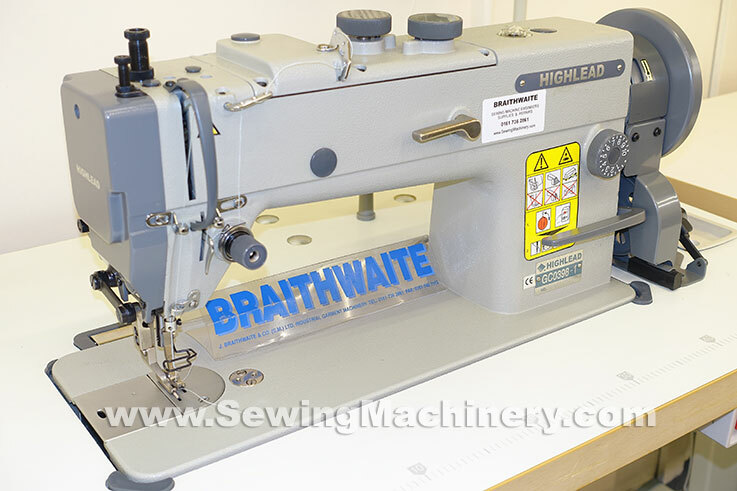 Highlead GC0398-1 industrial sewing machine model, with dial adjustable walking foot system, for heavy duty stitching of materials. It features a top feed walking foot and bottom feed system that is suitable to sew medium & medium-heavy weight materials such as leather, synthetics, canvas, plastics, webbing, upholstery, tarpaulin + heavier than normal standard fabrics. 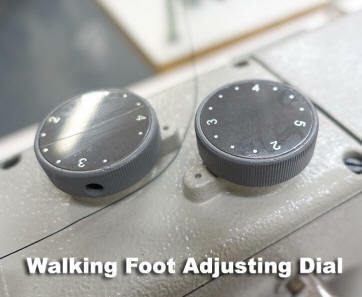 A top mounted adjusting dial allows the operator to easily set the top feed walking foot to suit a particular application. This is useful for operators who often switch between materials, applications, thicknesses etc. and makes the GC0398 model more versatile when compared with old style fixed walking foot models. A large stitch feature is included and adjustable up-to 10mm in length. The fitting of a large double capacity hook & base as standard, reduces the number of bobbin changes and helps when using the thicker threads associated with heavier materials. 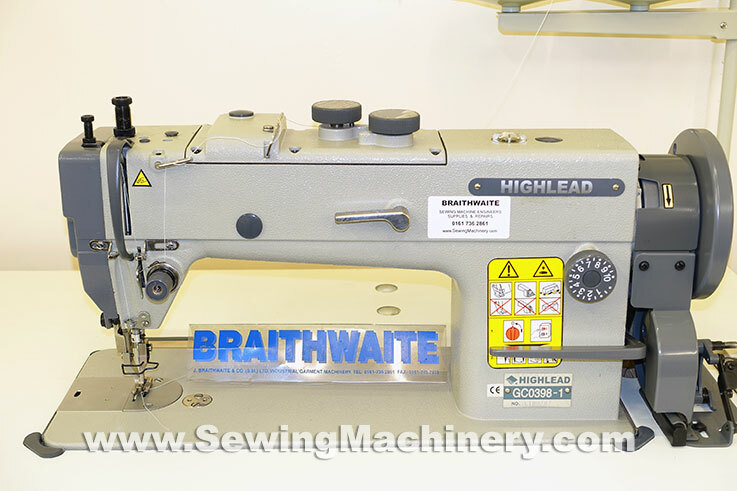 The Highlead GC0398-1 is a general purpose walking foot sewing machine for use on medium to medium-heavy weight materials and is suited to sewing, for example, car seats, general leather articles, belts, horse rug repairs, canvas, tents, awnings, handbags, outdoor wear, camping goods etc.